Are you at risk of being liable for trips, slips and falls in your work place? 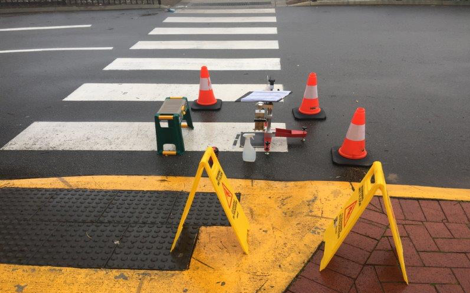 Reduce your risk by ensuring your flooring surfaces meet the requirements of Australian Standard 4663:2013 by preforming regular slip testing. Wet Pendulum Testing determines and quantifies the slip-resistance of your floors according to several environmental factors. The result will determine whether your surface is compliant or not. 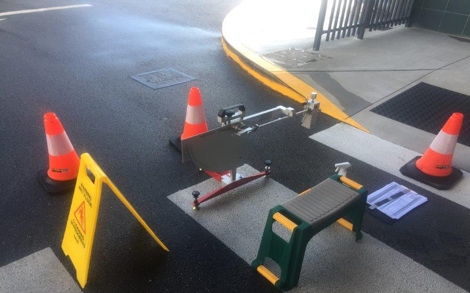 PQR can ensure Slip Testing is preforming to a high standard on all internal and external flooring, loading bays and wet areas. PQR are not affiliated with any suppliers, so you can rest assured our services are completely independent and impartial.